Maybe there is hope, after all.
. . . and bigger picture, let’s not discount the demographic and geographic shifts that threaten to reshape the auto market - among many other areas of Wall Street. Mounds of data shows that in the wake of the Great Recession, Americans are moving back into cities in droves. One of the megatrands that comes from this re-urbanization is an increased reliance on public transportation and a shunning of cars. In fact, last year billionaire real estate mogul Sam Zell said we may be seeing the “end of suburbia” as a result of this shift to cities - and if the suburbs die, so does the need for a preponderance of vehicles to commute in. After getting approval from council Monday night, the city can now move forward with its newest plan to make Newark a more bicycle-friendly community over the next several years. 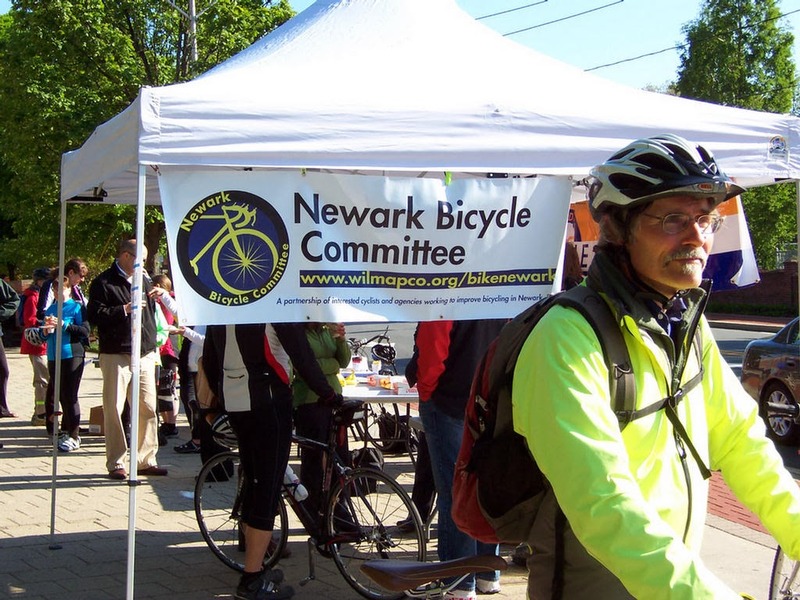 Two years in the making, the 2014 Newark Bicycle Plan was created by the Newark Bicycle Committee and was a collaboration between area residents, city officials, the Wilmington Area Planning Council, the Delaware Department of Transportation and local bicycle advocacy organizations. According to Planning and Development Supervisor Michael Fortner, the city has come a long way since its last bike plan in 2002 with the creation of the Hall and Pomeroy trails, the Newark Bike Project and a bicycle safety-checkpoint program. In addition to improving bike lanes on South Main Street and Paper Mill Road, Newark now has more bike racks on Main Street and on DART and University of Delaware buses, but there is still more improvements to be made, Fortner said. The third of a 4 part series, we will now highlight the specific on-road infrastructure improvement projects going on around Delaware. 1st State Bikes and the Delaware Bicycle Council both believe that on-road bicycle safety and infrastructure is at least as important - if not more important than off-road or segregated (i.e. bike path) facilities. The successful planning of any bicycle-friendly network comes with an understanding that we must rely on our roads and arterial highways, if we are to ride from home thus reducing auto dependency. In this regard, a balanced approach to advocacy is vital in the success of any bike-friendly community, city, or state. So, what is going on around Delaware in terms of on-road safety improvements? Several key projects are nearing fruition - or ongoing - that will not only help our current cycling population, but perhaps encourage others to start riding. According to a study conducted in Portland OR, the "Enthused and Confident" are the best hope for growing bicycle mode share. Failure to improve our roads for bicycle safety will only result in more car trips, as folks will rack up and drive with their bikes over to the nearest bike path facility. The below on-road infrastructure projects are designed to help turn things around (you can preview an acronym definitions list HERE). A bike lane and bike parking are required with new developments in New Castle County that contain a right turn-only lane entrance. It appears too many waivers are issued, however. 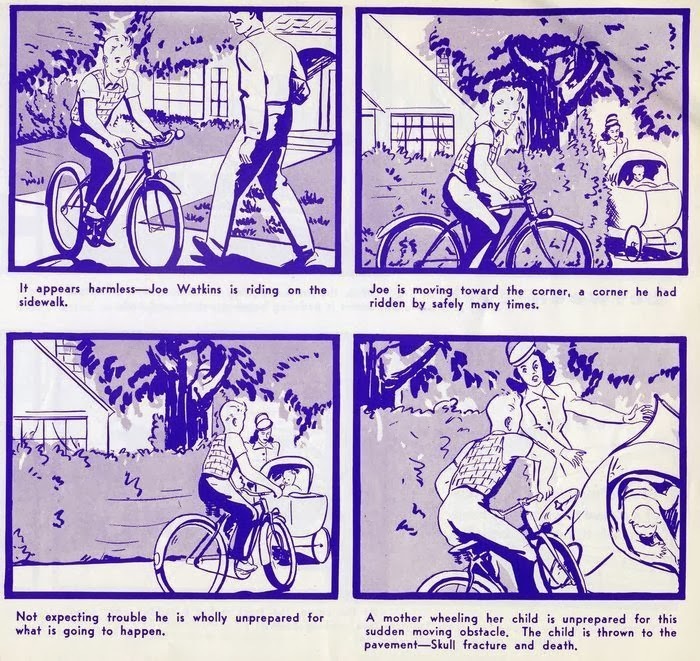 The following was recently provided to Delaware Bikes by Delaware's Bicycle Coordinator. As of January 28, going forward, Bicycle/Pedestrian Staff will be the deciding factor on bike lane requirements. This includes environmental, ROW, and safety limitations. Current policy states that if there is no shoulder, or there is an existing right turn lane, a bike lane is not considered if current requirements are met. If a right turn deceleration lane is not warranted for new development, we don’t get a bike lane. Without something in writing, we cannot legitimately confirm this. We must also advocate for a change to the policy, that it shall include the bike lane if a right turn lane pre-exists or it is a redevelopment plan. 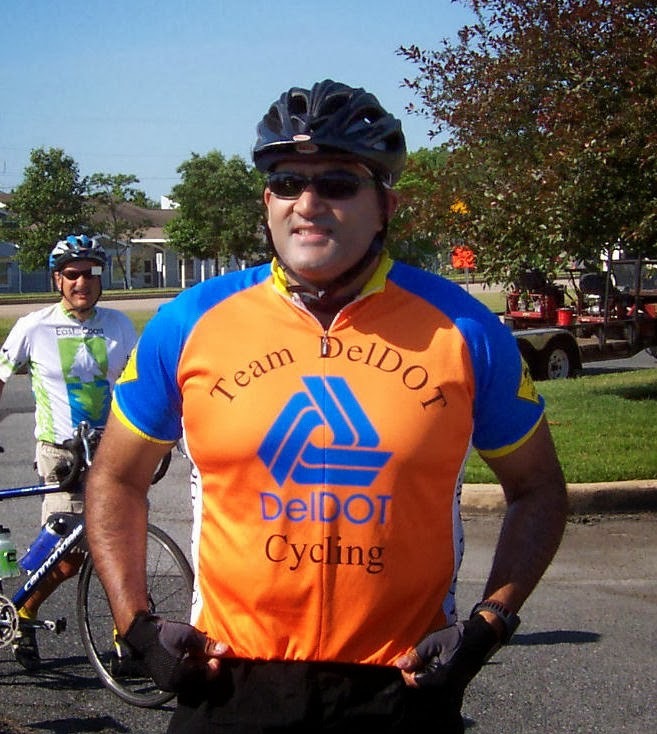 Anthony Aglio, Delaware's Bicycle Coordinator, has been a true friend and ally to bicycle advocates going back many years. Working in Planning, he will help us stay on top of this. Stay tuned for more. 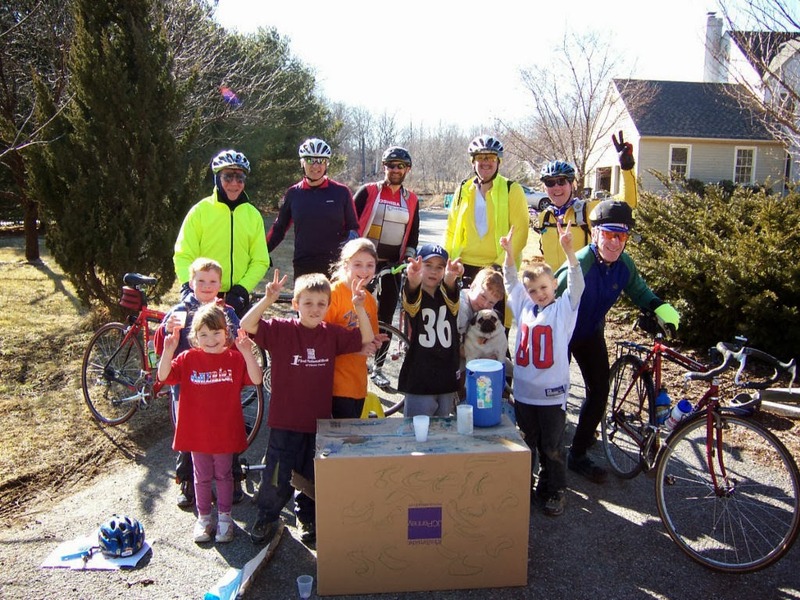 Funding Pools are a proposal by the Delaware Bicycle Council to restore funding for small-medium sized bicycle and pedestrian projects. Slush funds are allocated to each county to pay for smaller projects that can greatly improve on and off-road bicycle networks and connectivity. Not long ago, Funding Pools were a regular part of DelDOT's budget. The Paper Mill Road bike lanes were made possible by Funding Pools, and are a favorite among area bicyclists connecting Newark and Pike Creek. Re-establishment of Funding Pools received the support of Governor Markell and Sec. 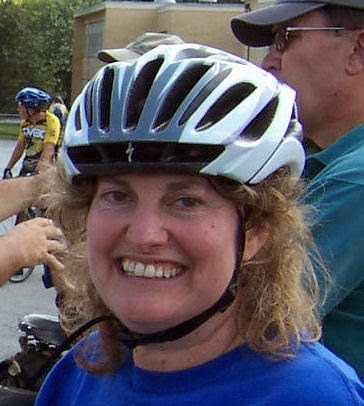 Bhatt in 2012, as well as most other bike related organizations in the State. 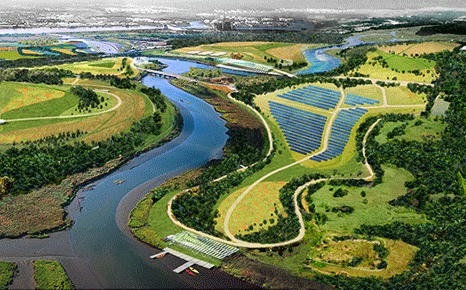 Bike Delaware and Delaware Greenways were the only two that did not support Funding Pools. The Funding Pools were to be a part of the $13 million dollars that the General Assembly voted to allocate to bicycle and pedestrian improvements. Although efforts were made towards developing the logistics of the Funding Pools, the funding never materialized. Instead, virtually all of the $13 million went to trail planning, design, and construction over the next several years. 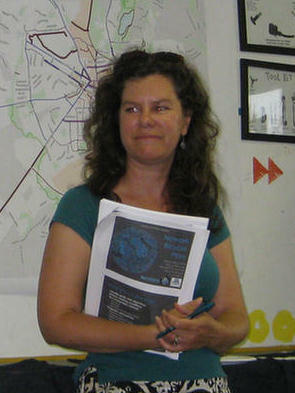 Funding pools remain stalled, although they are an active Delaware Bicycle Council goal. 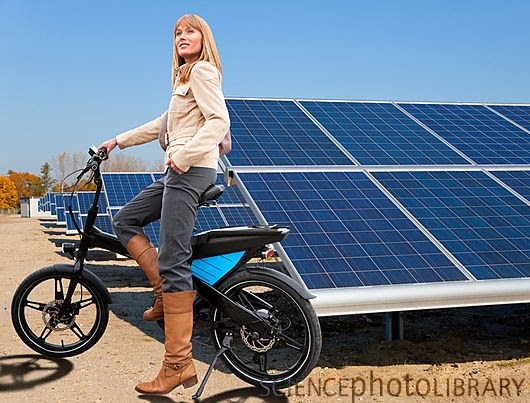 It will be difficult, if not impossible to create viable bicycling networks without them. 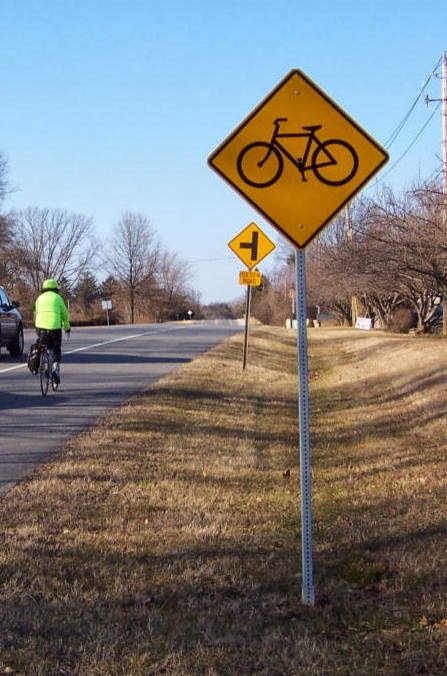 With the help of Delaware Bikes and the state’s cyclists, the Delaware Bicycle Council continues to review upcoming pave and rehab projects, and to issue recommendations to install bike facilities along bike routes and other roads that are a valuable part of the state’s bicycle network. This has been an ongoing struggle since 2009, much of it related to our lack of the shared right turn-only lane treatment described below, which is very much in progress. Stay tuned as this effort continues to grow, given added tools in the toolbox. A consensus was reached among advocates that many drivers were misinterpreting "Share The Road" as only applying to bicyclists. 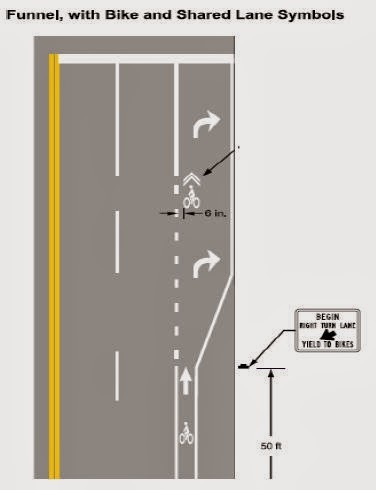 In addition, it is not possible to share a sub-standard width lane (under 13 feet, which accounts for most) when factoring the 3 foot passing law. 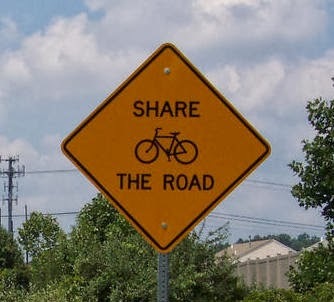 A complete history of DelDOT's Bicycle Warning Sign, and the eventual removal of "Share the Road" wording as part of it, can be found by clicking the above link. 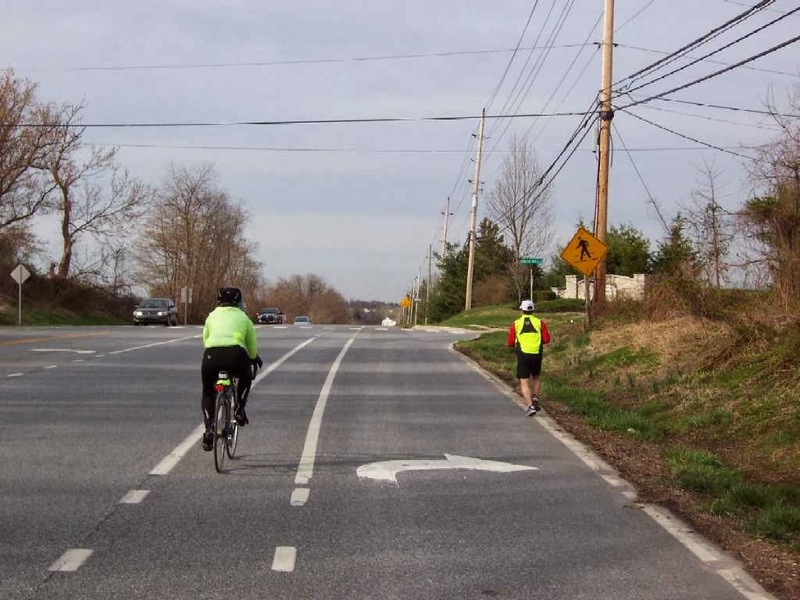 DelDOT's Chief Traffic Engineer, Mark Luszcz, listened to Delaware bicyclists and advocates and did not wait for an active campaign to address this topic. 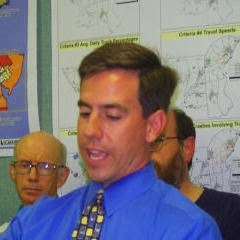 Mark Luszcz solicited comments from multiple advocates and bike related organizations. 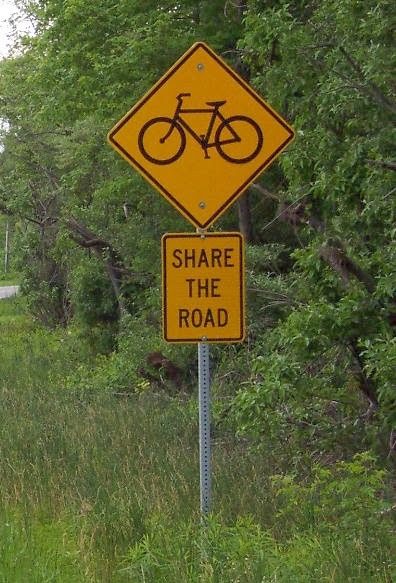 As of 2014, the Share The Road "Plaque", will no longer be included with Bicycle Warning Signs. This was a great example of consensus building among our state's cyclists and bicycling organizations. This is a special projects list that was requested by Transportation Secretary Shailen Bhatt, and acted upon by the Delaware Bicycle Council. Several recommendations are in progress now, including the addition of bike lanes on Limestone road north of Millcreek. Most of the improvements listed will be seriously considered with future Pave & Rehab projects. The approval of the Shared Right Turn-Only Lane treatment below will help produce more complete projects and retrofits. This goal was originally conceived during the early years of Bike Delaware by a former member of Bike Delaware. The below list was compiled by DelDOT's Traffic Section, and provided to 1st State Bikes, and we tip our helmet to them. Aug 2012: First meeting of Research Advisory Panel. 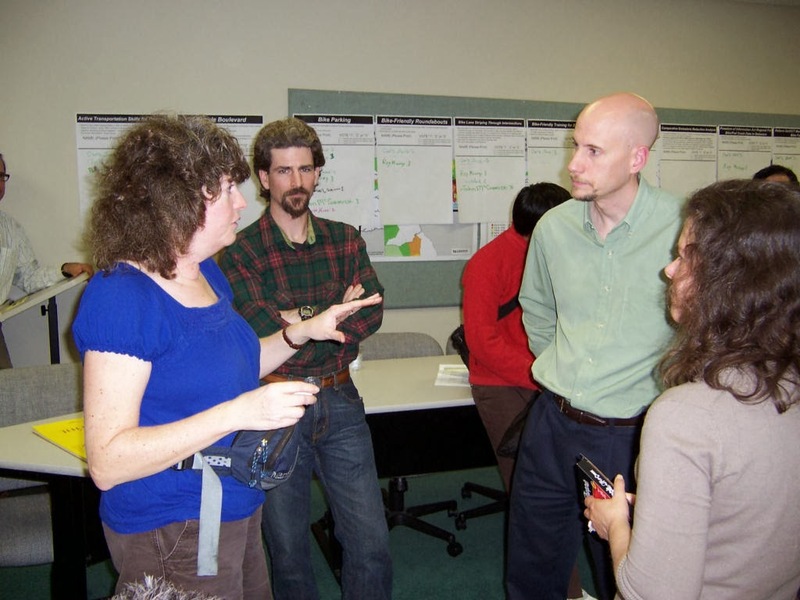 Fall 2012: Survey efforts undertaken, including data collection and analysis. Feb 2013: Progress report including results of part 1 (survey) of research. 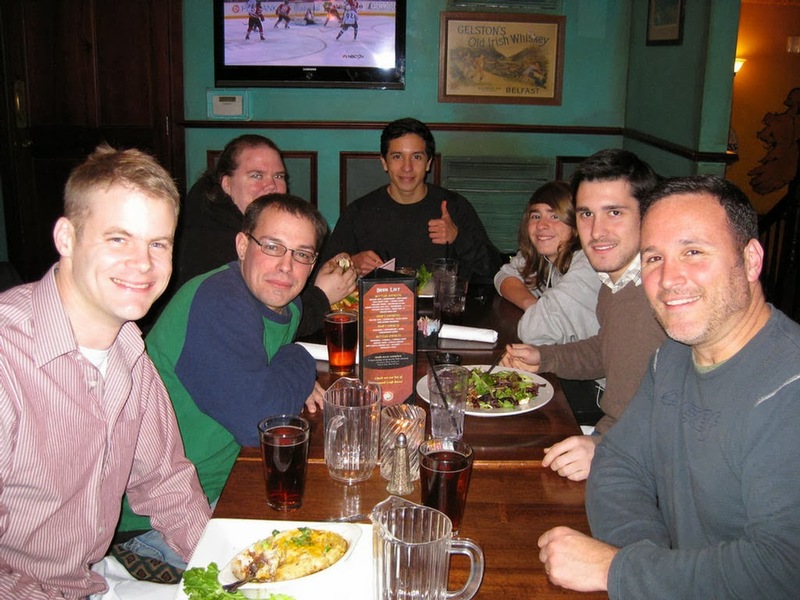 Mar 2013: Second “advisory panel” meeting. Apr 2013: DelDOT/UD discuss in more detail possible field study locations and make selections for first 3 locations, one for each option. May 2013: DelDOT staff assigned to review 3 field locations to confirm “before” conditions are acceptable and meet current MUTCD standards. 2 of 3 are good. 1 requires minor signing/striping modifications. DelDOT staff begins developing detailed signing/striping plans required to implement experimental RTOL conditions. June 2013: Minor signing/striping modifications complete; all 3 locations good for “before” data collection. July-Sept 2013: “Before” data collection undertaken. Nov 12, 2013: Implementation complete for experimental RTOL conditions at all three locations. We are now in the final stage of approval, which includes collecting the "After" data at all three locations. Stay tuned for more, as this exciting project concludes. 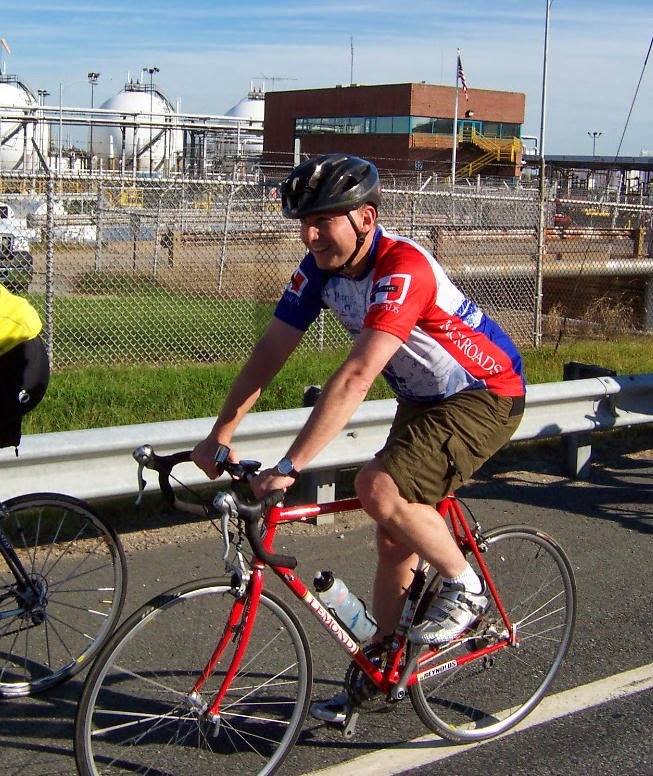 Sept 2012: A former Bike Delaware Advocate collected comments and submitted a database of sweeping "hot spots" to DelDOT's Maintenance and Operations Division. 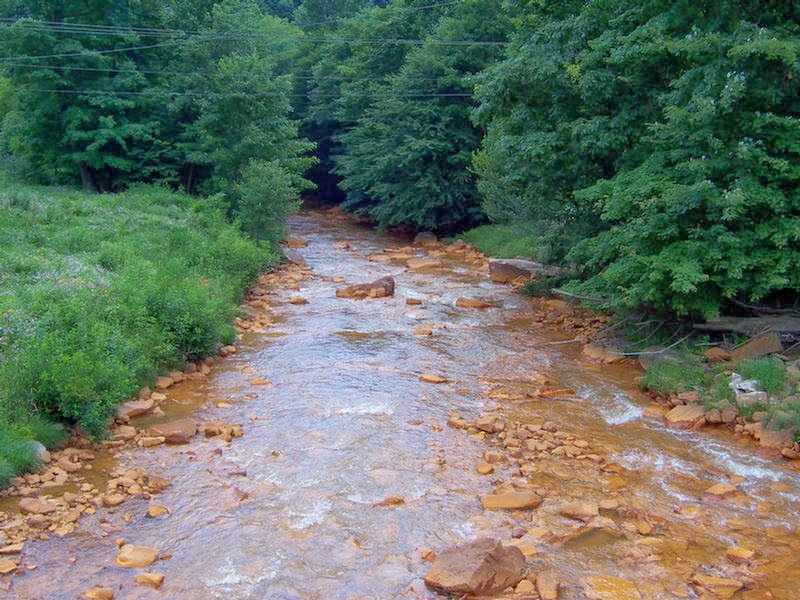 As fate would have it, DelDOT was due for a new NPDES permit, and submitted an outline to DNREC describing an improved strategy for implementing the Storm Water Management Plan (SWPP&MP), due by May 7, 2014. The SWPP&MP will lay out the specifics and measurable goals for the various elements, including DelDOT's Sweeping Program. 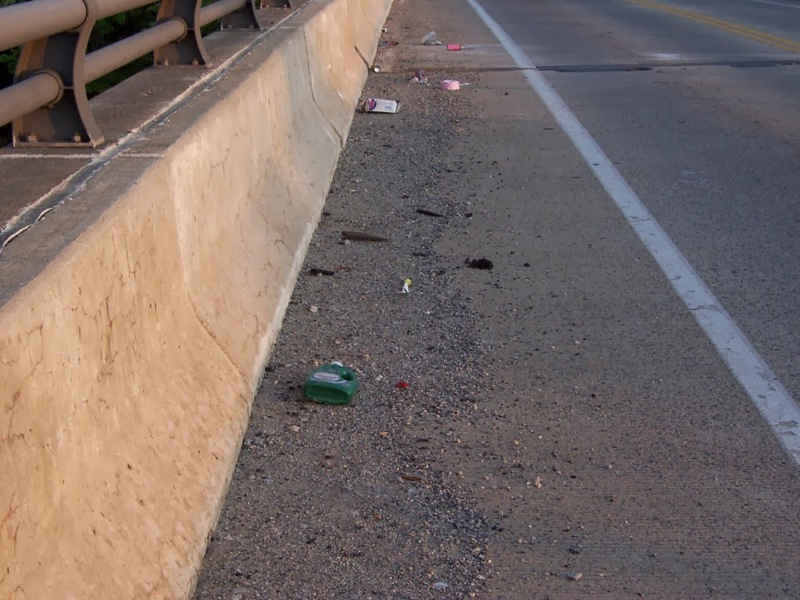 This includes additional emphasis on "reflection" zones (those with curbs/barriers, such as bridges) that typically collect more debris. As of Oct 2013, a pilot study was in progress. When the sweeping plan is finally submitted to DNREC, it may go through several iterations before it is approved. 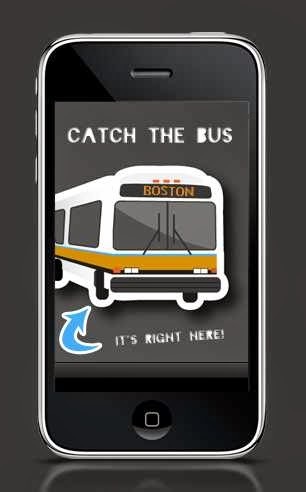 Still a few months away from full implementation (as of Oct 2013). We can expect an update on this project very soon, by Spring at the latest. That's all we have for now. 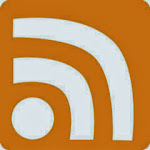 Stay tuned to DelawareBikes.org, your #1 source for advocacy news in today's built environment. And tell your friends! Is this what we really want for South Main Street? This footage was gathered over a weeklong period from four 24-hour Super WaWas with gas pumps in Pottstown, West Chester, Center Square, and Schwenksville PA. The video shows motorist's confusion coming in and out of the parking lots, congested side streets, and near-constant backups at traffic lights and stop signs. This congestion and erratic driving - and the accidents that come as a result - have been dubbed the “WaWa Effect” in an article by The News Journal about traffic studies being conducted by the University of Delaware as part of a larger, ongoing project for the Delaware Department of Transportation. The study suggests an increase in new traffic patterns and erratic driving around convenience stores like WaWa, citing U-turns, running red lights, and increased accidents as a result of the influx of traffic coming and going. 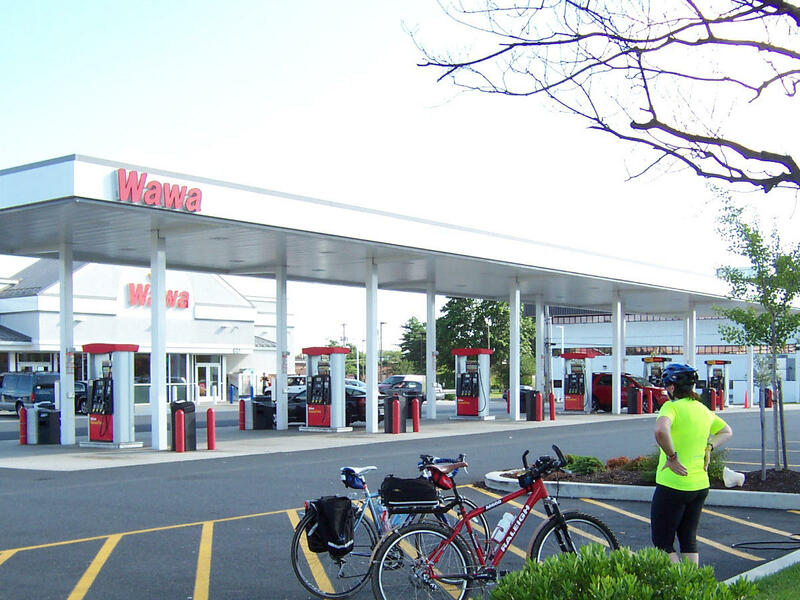 Typically, engineers will claim that the proposed Super WaWa will operate largely on existing traffic patterns, drawing minimal new congestion to the areas and residential streets that surround the site. This is false, given induced demand from a greater area - which the pumps are designed to do. They also fail to address the heavy truck traffic that is expected to frequent the store for deliveries and fuel, especially during night and early morning hours. This increase in traffic is one of the main reasons more than 1,000 residents and business owners rallied to oppose a new Super WaWa in the Borough of Conshohocken, PA. More than seven hundred letters and petition signatures were mailed to Borough Council expressing the community’s opposition to the zoning text amendment WaWa submitted for a 24-hour diesel fuel Super WaWa. Read this update on how they prevailed. It appears we are in for a similar battle to keep Newark's downtown as a walkable, bikeable, livable community. WaWa wants to build a major gas pump facility on South Main Street, at the intersection of Apple Road, across from the Municipal Building. As in Conshohocken, we can expect a fight to the bitter end - all in the name of profiteering - against residents who are justifiably opposed. The Super WaWa on Route 273 and Marrows Road is anything but a "neighborhood store", regardless of what its PR Dept claims. With the help of the Newark Bicycle Committee, advocates even had to enforce ADA sidewalk compliance, and a city ordinance calling for bike parking - which resulted in a useless wheelbender. Those on foot or bike are seldom seen around these mega-pump stores, because they are a safety nightmare. 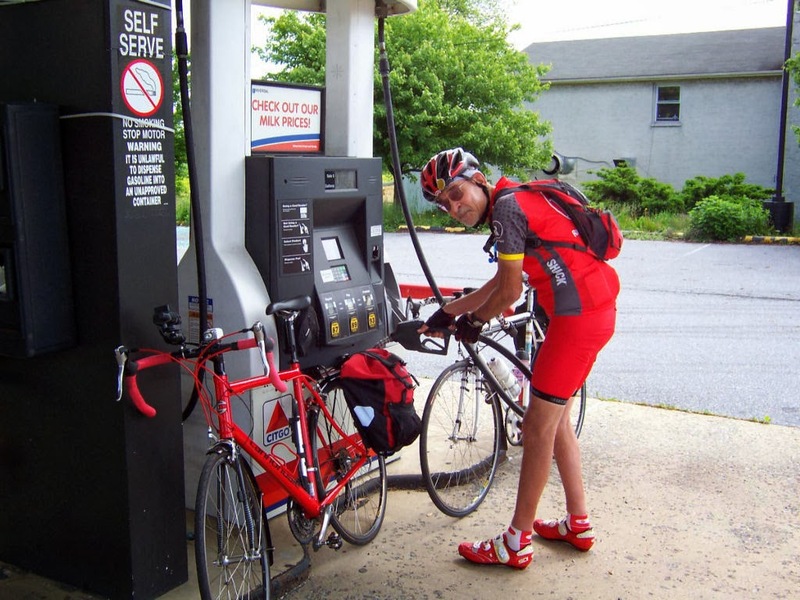 Wally Hertler, however, tries for a quick fill-up at a shuttered Citgo station in Cochranville PA a few years ago. A bicyclist's presence is called for at an upcoming Newark City Council meeting, to ensure smooth passage of the long awaited Newark Bicycle Plan. The meeting takes place on Monday, February 24th and starts at 7pm. 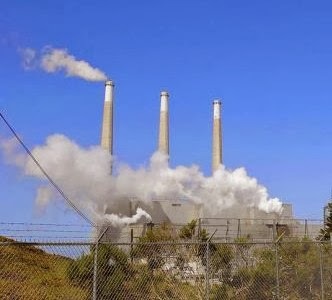 The Plan is fairly early on the agenda (Item 4), however, the Public Comment section near the beginning of the agenda has been taking a lot of time as a result of the Data Center controversy. So it is hard to predict how soon the NBP will be considered. 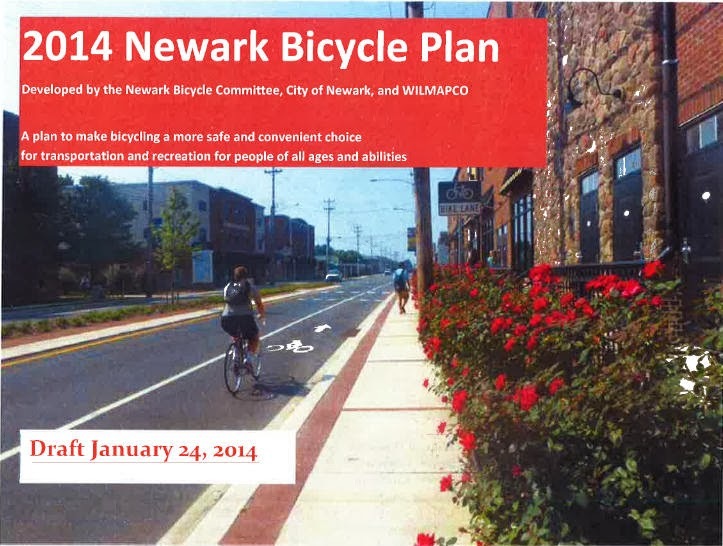 On Tuesday 2/18, the Newark Bicycle Plan achieved a strong endorsement from the Newark Traffic Committee. Everything appears in our favor, as most, if not all, Council members view bicycling very favorably and see it as something we should encourage both as a transportation choice and for recreation. So we don’t expect any automatic opposition. However, it is very important to encourage many bicyclists to attend - preferably dressed to ride - and to have them prepared to speak in support of it. This is important because even if a few people show up to speak AGAINST adopting the Newark Bicycle Plan, if there are not enough people present to speak for it other than City Staff, the Council could choose to table or even vote it down. 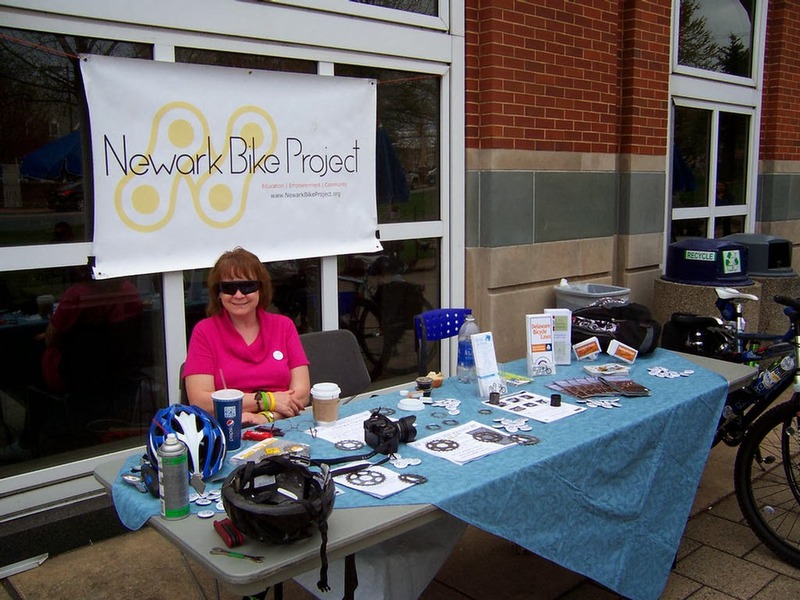 Some other localities, when considering Bicycle Plans, have had an attendance of “Agenda 21” opponents, and that could very well happen in Newark. For those of you who do not know what Agenda 21 is, it's a non-binding U.N. resolution that promotes a more livable and sustainable way of life. With that comes a fringe political movement that thinks it's a U.N. sponsored, socialist government takeover. Increasingly, members are showing up at these meetings - and attempting to derail multi-modal transportation plans. There are people who think the roads are only for cars and that bicyclists are a nuisance. A number of these were present at Newark's Comprehensive Plan workshops, and may be speaking here as well. And finally, there could be someone who is a bicyclist who is well intentioned but wasn’t involved in the planning process, and they could speak against it because they perceive that something in the Plan is less than perfect. All of the above have happened before with other City projects and plans, and without area residents there to speak in favor, we could see the adoption of the Bicycle Plan delayed or even derailed altogether. If you are available this coming Monday, 2/24 at 7pm, we strongly encourage you to come. 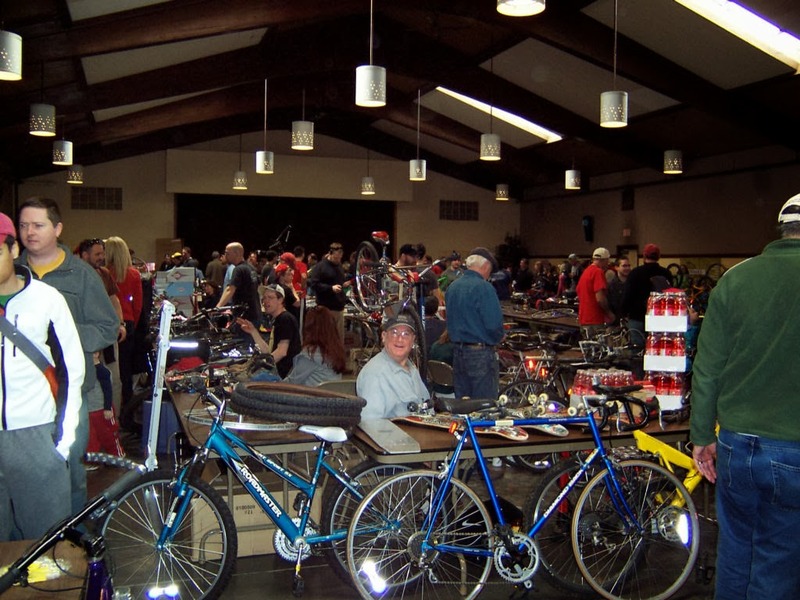 You do not have to stay for the entire meeting - just through the Bicycle Plan approval process. A map to the Newark Municipal Building, at 220 South Main Street, is below. 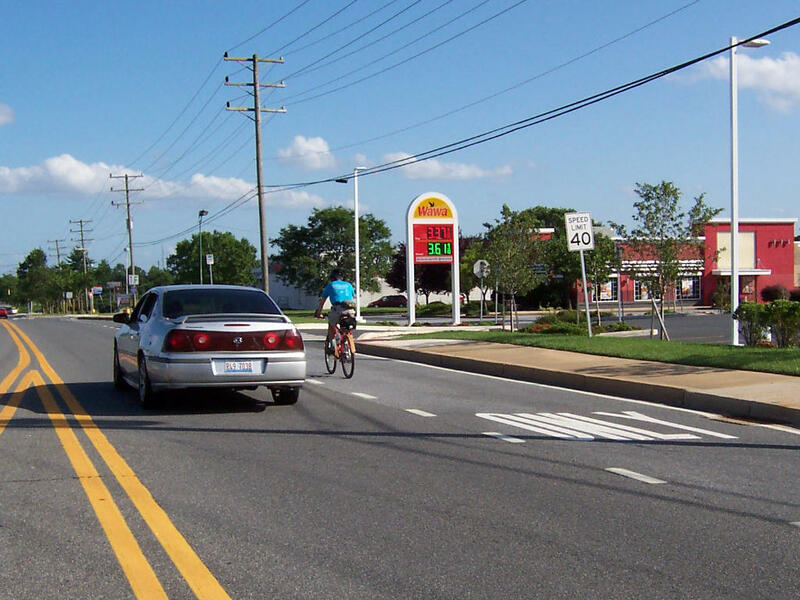 Bike Delaware recently published the first in a series of articles concerning road safety in Delaware, especially as it relates to the different funding types for pedestrians and bicyclists. 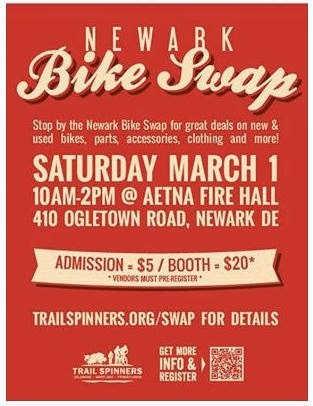 We commend Bike Delaware for raising awareness, and putting a strong focus on non-motorized safety and spending. However, though educational and informative on many fronts, we felt it necessary to publish DelDOT's response to help clarify several points in the article. 1. From your article: “Road safety in Delaware (just as everywhere else) is primarily funded through a federal program called the Highway Safety Improvement Program (HSIP).” This is not entirely true. Many different sources of funding are used to improve road safety in Delaware. Just one example: I spent many years as both a consultant and DelDOT employee working on the planning, design, and implementation of the South Governors Avenue Project in Dover. This 1.5 mile upgrade included the addition of bike lanes, sidewalks, crosswalks, transit stops, and a two-way center-turn lane. This project cost many millions of dollars (not HSIP), years of staff effort, and coordination with hundreds of local residents, businesses, and property owners. The bicycle, pedestrian, and transit safety and operational upgrades were at least as important, if not more so, than the motor vehicle upgrades. Similar projects include the SR 54 Project (completed in 2012) and the SR 26 Project (recently started). 2. You are correct about the cluster analysis, which is one of our longstanding, primary tools for identifying, analyzing, and correcting safety issues. Because motor vehicle mode share vastly outweighs pedestrian and bicycle mode share, motor vehicle crash issues are what are almost exclusively identified through the Hazard Elimination Program, which is a subset of our HSIP and uses the cluster analysis to identify site locations. However, since at least 2005, DelDOT has attempted to incorporate pedestrian improvements into HEP projects whenever possible, and has done so in a high percentage of those projects. For instance, if a left-turn motor vehicle crash problem at a traffic signal was identified through the cluster analysis, we will still consider and implement if possible pedestrian improvements such as new/upgraded crosswalks, curb ramps, and pedestrian countdown signals. For small projects like signal upgrades, these types of pedestrian improvements are often feasible. Bicycle improvements which often involve road widening are not feasible for this scale of project. Sometimes minor transit improvements can be incorporated as well, such as relocating a bus stop to a better location, or including a short piece of sidewalk. We do not get “credit” for these upgrades in the FMIS budget chart that you included. 3. In the late '90s and early 2000s, highway safety experts at the state and federal levels began to recognize that the cluster analysis had flaws, and should not be the only tool used in addressing crash problems and highway safety. This led to the federal requirement for states to adopt Strategic Highway Safety Plans. DelDOT’s first plan was adopted in 2006, and the current plan was adopted in 2010. The plan requires states to analyze many different crash types, compare to national crash rates, and select emphasis areas that either show a high percentage of crashes, or a higher percentage than the national average. Delaware’s plan is available online. It has 7 primary and 4 secondary emphasis areas. One of the emphasis areas is related to intersection safety. This is generally well suited to the cluster analysis. Another is related to run off the road crashes, which comprises 47 percent of fatal crashes in Delaware (2007-2008 data). These crashes are generally not found in clusters and are more susceptible to correction by systematic upgrades: upgrading the types of roads with these crashes, not just specific locations with a high number of crashes. Countermeasures include edge-line rumble strips, delineation of roadside obstacles, etc. Another emphasis area is related to pedestrian safety. We agree this is a major issue for Delaware highway safety, which is why the pedestrian/bike working group was formed. That group is attempting to better coordinate improvements through engineering, education, enforcement, and emergency services. 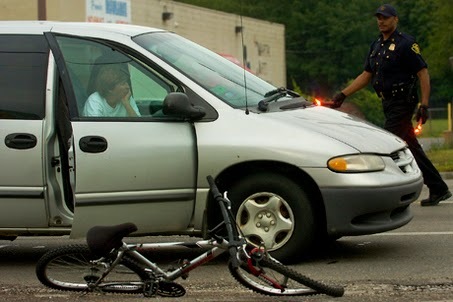 We believe one tool to attempt to address this issue is the use of pedestrian/bicycle safety audits, which you will further explain in your next article. Note that the Kirkwood Highway study is not the first of these conducted in Delaware, but the third. The first two were US 13/US 40 (Wilton Blvd/Llanglon Blvd. to SR 273), and SR 273 (US 13 to Newark). Without giving too much away for your next article, I wanted to note that the US 13/US 40 study, completed in 2009, resulted in several relatively small and one medium size project. Almost all short-term recommendations from that study have now been implemented, including additional warning signs, additional crosswalks/pedestrian signals, and the full lighting of the corridor from Wilton Boulevard to SR 273. The combined cost of the projects was over $1,400,000. HSIP budgets were not used, but a variety of other funding sources were. 4. One final example I would like to present is the implementation of almost 8 miles of bike lanes on US 13 in Dover. These lanes were created by narrowing the travel lanes and striping the bike lanes through a pavement and rehabilitation project. Several pedestrian upgrades were incorporated into this project as well (e.g., crosswalks, pedestrian signals, curb ramps). The bicycle lanes themselves were not cheap, as they required the resetting of the crown of the roadway and adjustment of signal heads at approximately 14 traffic signals. 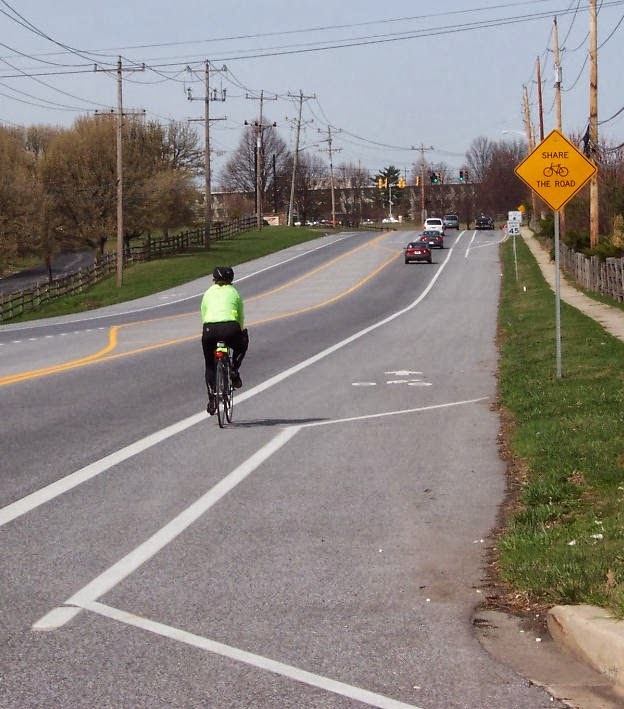 These major operational and safety upgrades for bicycles and pedestrians were funded by DelDOT’s Pavement & Rehabilitation Program. Not HSIP, or other funding sources that are primarily used for bicycle/pedestrian projects such as Transportation Enhancements/Transportation Alternatives, or the statewide trails initiative. 5. This response likely sounds a bit defensive and it probably is. 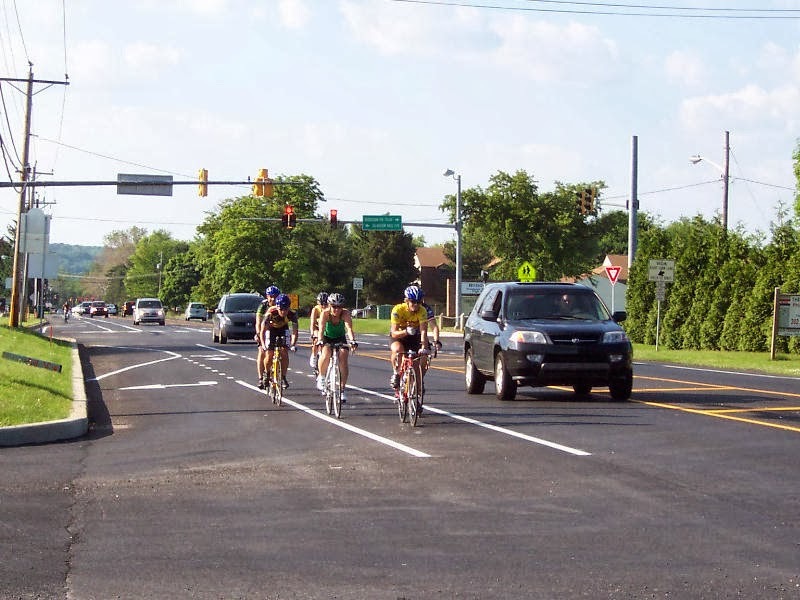 My primary point is that DelDOT has spent a large amount of effort in the last 10 years to better accommodate and improve the safety of all road users, including motorists, pedestrians, bicyclists, and transit users. We do not necessarily do a great job of tallying up the costs or the results of some of those efforts, or publicizing them. Our current programs and projects are certainly not above criticism and we look forward to continuing our working relationship for the good of all road users in Delaware. Funding Pools (aka small-medium size project slush funds) were another source of funding for on and off-road bicycling improvement projects, which helped fund Paper Mill Road's bike lanes about 10 years ago. 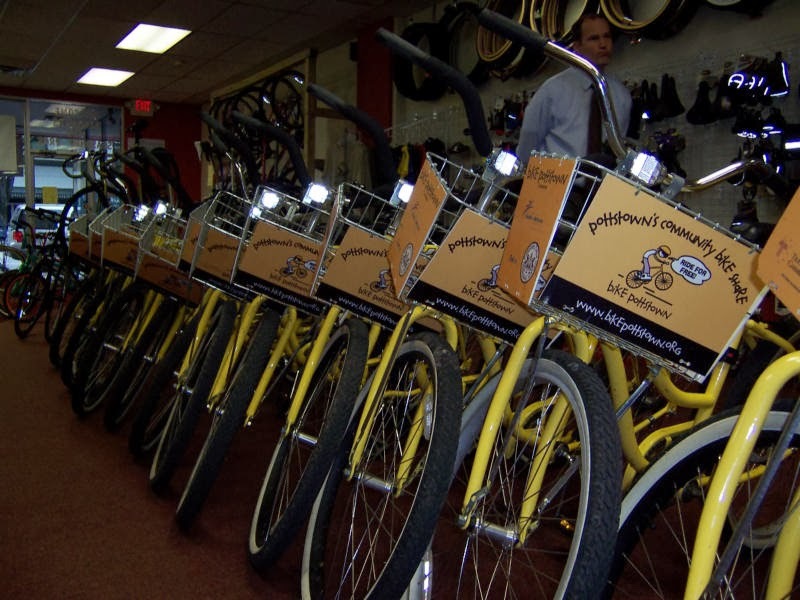 These funds were eliminated a few years later, and without Bike Delaware's support, they have yet to be re-established. Fortunately, DelDOT has picked up some of the slack during Pave & Rehab operations, making improvements whenever feasible and within budget. When will the University of Delaware get on board? By Vanessa Miller -- Pretty soon, University of Iowa campus commuters might not need to own a bike to use one for quick trips to class, work or anywhere else they want to go. The university, through its Office of Sustainability, applied in October for a $96,000 grant to implement a “third generation bike share program.” The money would help fund a $120,000 initiative to set up three bike rental stations across campus. The stations – proposed near eastside student residential housing, by Seamans Center in the central campus area, and by an entrance to the pedestrian mall – each would house 15 docks and 10 bicycles, according to the grant application. 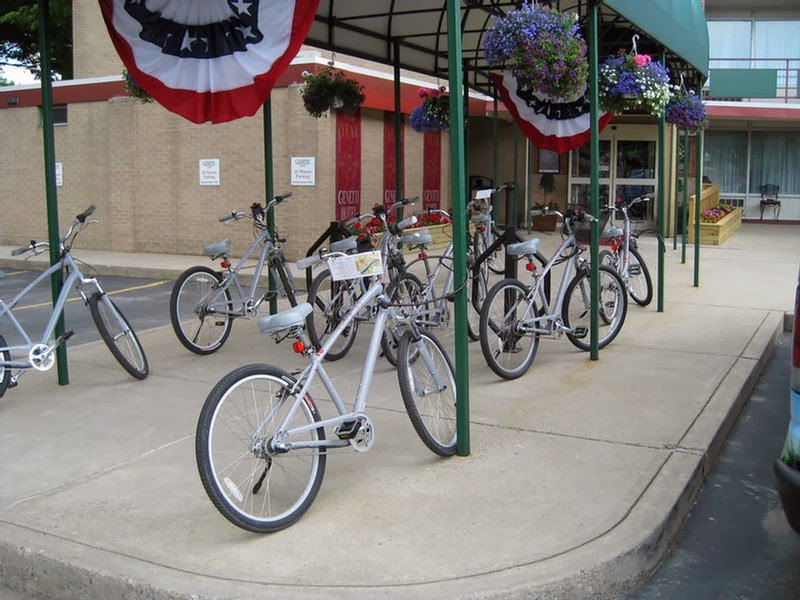 A Bike Share program in Williamsport, PA. This station operates from the Genetti Hotel. 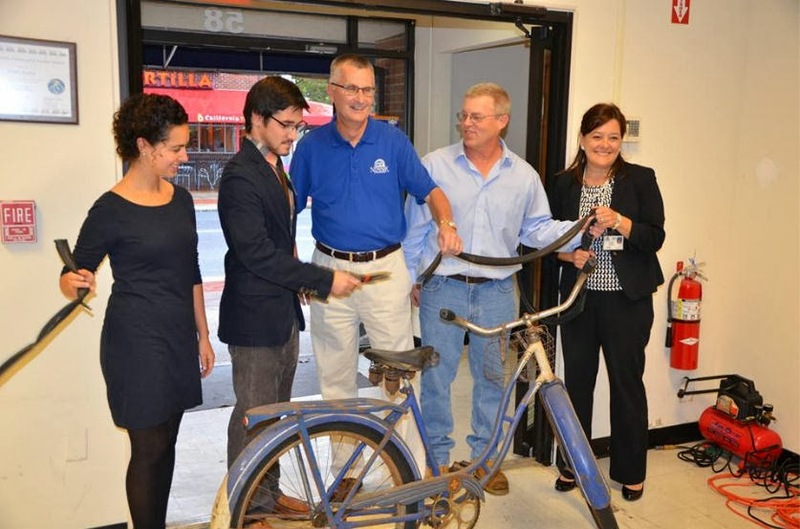 The Pottstown, PA Community Bike Share operates out of a local bike shop. 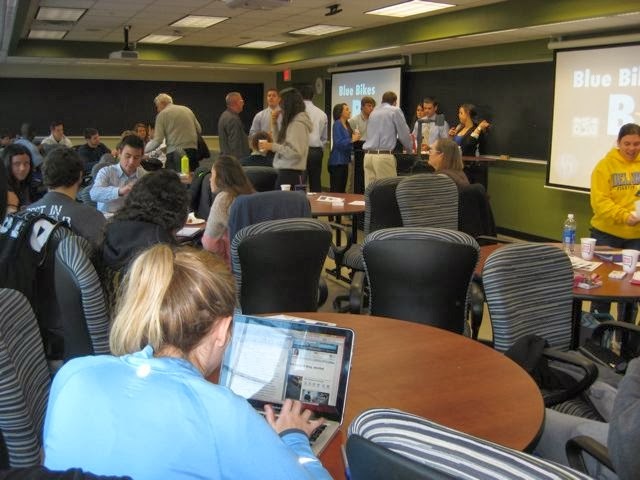 Late last Summer, the Blue Hen Leadership Program gave a presentation on bike sharing for the University of Delaware. As could be expected, several malcontents were also present, providing a negative opinion on the idea. There has been no further updates that we know of. Meanwhile, growth of bike share systems in other U.S. cities continues to sore. 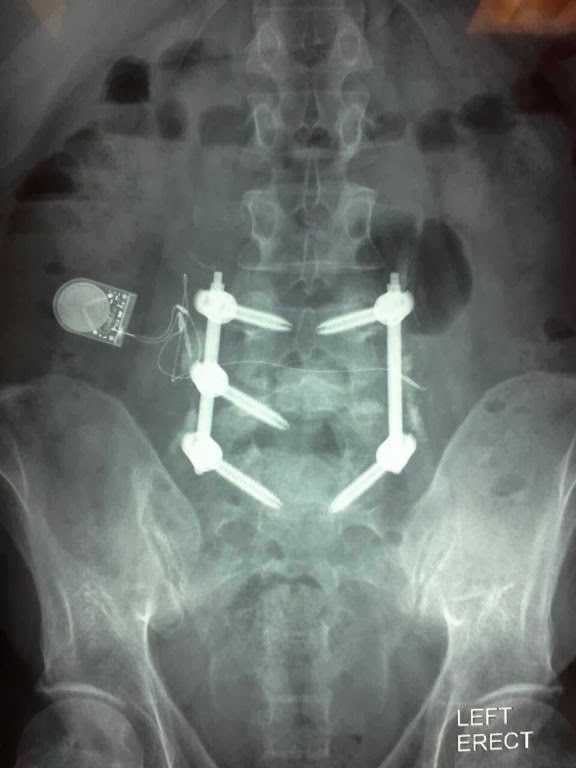 For spinal fusion surgery patients, the journey to a full recovery is often a long one. For Frank, it's been a journey filled with highs and lows, and some unexpected turns. Wednesday, February 12th marked a milestone, as Frank met with Dr Louis Quarteraro for his final visit at just about 7 months post op. Although Frank won't officially be out of the post-op period until the one-year mark, this visit was the final visit in person with Dr. Q, and a chance to say good bye with a special gift. The human body is an amazing thing in its power to heal and rebuild itself. The small scars from the Endoscopic fusion are barely visible now, and the battery nerve stimulator pack has been removed. 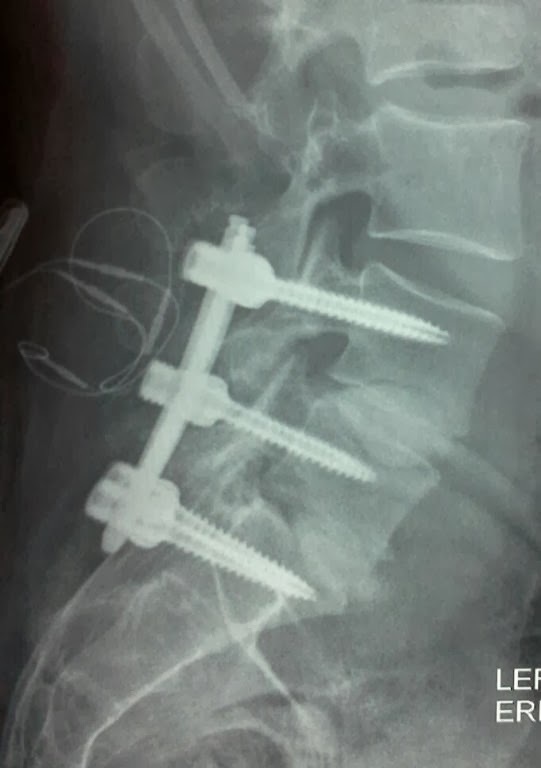 The things that Frank learned in "back school" during his Physical Therapy now come automatically to him, like the distinct ways of bending, kneeling and lifting that protect the fusion and the hardware inside him. Although he sometimes still suffers from occasional low back ache that anyone can get, the crushing pain that traveled down his legs is gone. With caution, he can now lift things without worry of injury. He no longer fears hurting himself unexpectedly. In the early days of a rough recovery, it was sometimes difficult to picture the good days that were just around the corner, but Frank did, and he never for one moment doubted that he had made the right decision to have the surgery. Throughout the recovery period, even at the lowest moments, he remained cheerful and optimistic. Frank started riding his bicycle again at 12 weeks post-op. Although it has been a cold and snowy winter, he is commuting to work on the days that he can, riding on the weekends when weather permits, and continuing to mentor and coach me. His strength is returning quickly, and he is really looking forward to participating in a full season of cycling, including a 12 day tour to Vermont and New Hampshire, as well as planning Rail Trail tours with me and other friends that we enjoy riding with. 10 years of chronic back pain started here in Atglen, on the final day of the 900+ mile Tour of Central PA (June 2004). 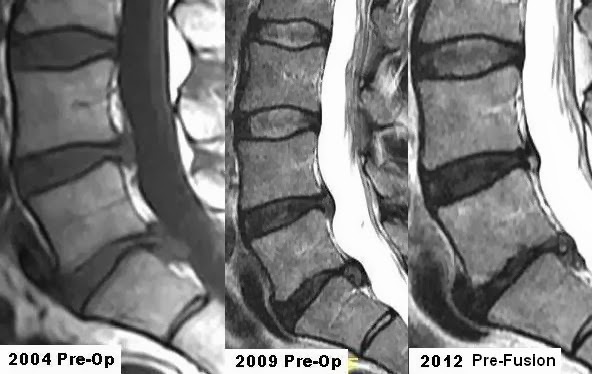 MRI images taken before 2 Micro-Discectomies and finally, the Endoscopic Posterior Lumbar Interbody Fusion, or "PLIF" procedure. The latter provided the objective evidence for a permanent fix. Angela Connolly is a Certified Medical Assistant, most recently in practice with St. Francis Healthcare in Wilmington, DE. With prior experience in Gynecology/Urology, her experience caring for Frank has given her new insight and appreciation into the issues surrounding patients undergoing treatments for Orthopedic/Spinal conditions. Caring for Frank throughout this experience has been very rewarding for her, and she is very pleased to have helped Frank through the recovery process, sharing the journey from first consult to his full recovery. What a neat video. 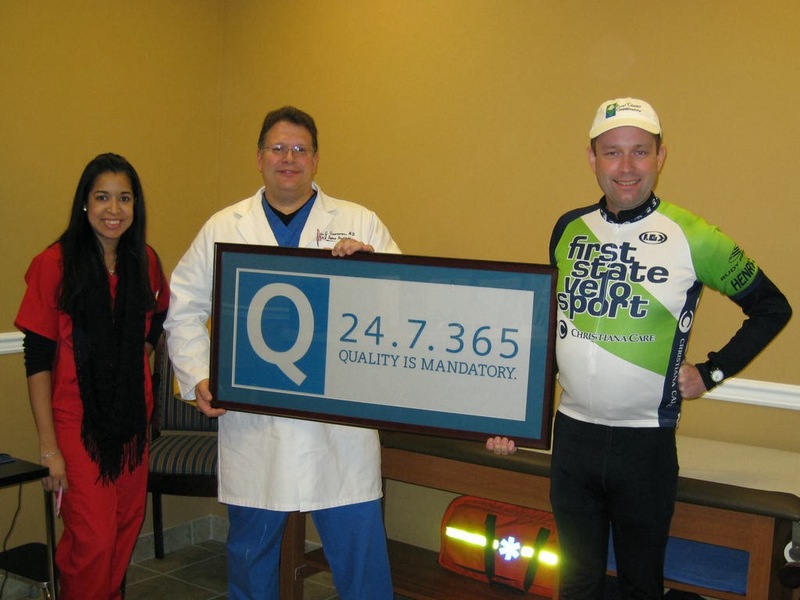 Marion Meadows is a competitive cyclist who races on a team in Phoenix, and has several race wins to his credit. He is also an American Saxophonist, composer, and smooth jazz recording artist of Native American, African American and Caucasian descent. Marion has released a total of 9 albums to date. 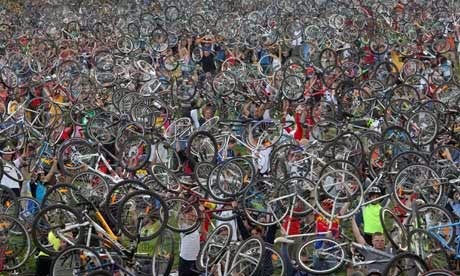 By Angie Schmitt -- The University of Wisconsin-Madison provides bike valet at its football games. The University of North Carolina at Chapel Hill supports free transit for everyone in the region. The University of California, Irvine launched a bike-share system in 2009, long before any major city in California had done so. American colleges and universities are leaders in reducing driving and promoting sustainable transportation. 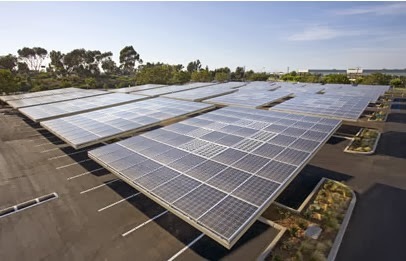 It allows colleges to make good on their commitments to protecting the environment. 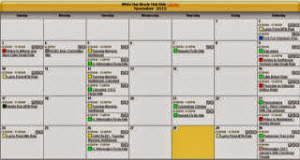 It makes life easier for students and staff. And, perhaps most critically, it’s saving schools big money on parking. Stanford University estimates its efforts to reduce solo car commuting have saved the school from sinking $100 million into the construction and maintenance of parking facilities. Poster's note: Another example of the University of Delaware falling behind and failing to progress when it comes to sustainability. As this article demonstrates, a lot more can be done to encourage car-free or car-lite living among students and faculty, thereby reducing congestion, noise, and carbon pollution on campus and city streets. Visit UD's Transportation Page to find out what is available, which doesn't include much in the way of incentives. Above: Cambridge University, in the UK, where even the POSH are denied having motor cars. Try and imagine what traffic would look like if this were not the case. 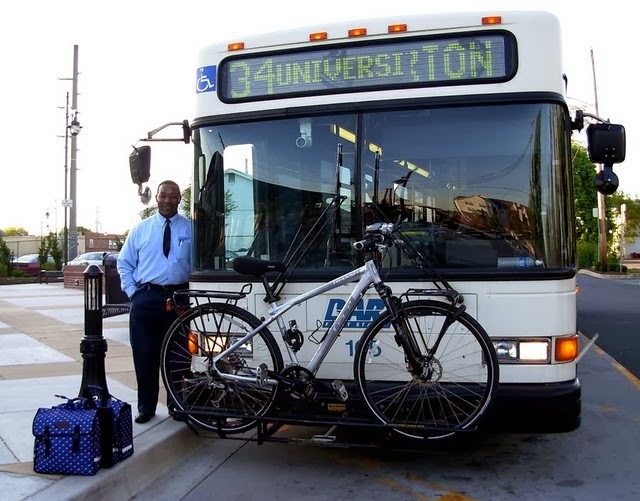 You can view UD's Sustainable Climate Action Plan from 2008, which is supposed to guide the University in active and green transportation, among others. Another example of UD's disregard for their own Sustainable Climate Action Plan can be found HERE. 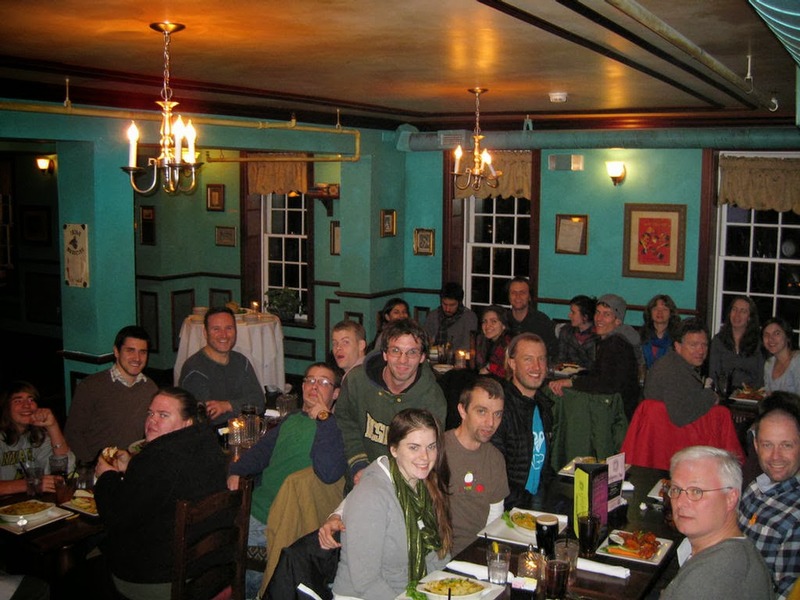 By Angela Connolly -- On Monday evening, February 3rd, Volunteers from the Newark Bike Project were welcomed to the organization's First Annual Volunteer Appreciation Dinner! 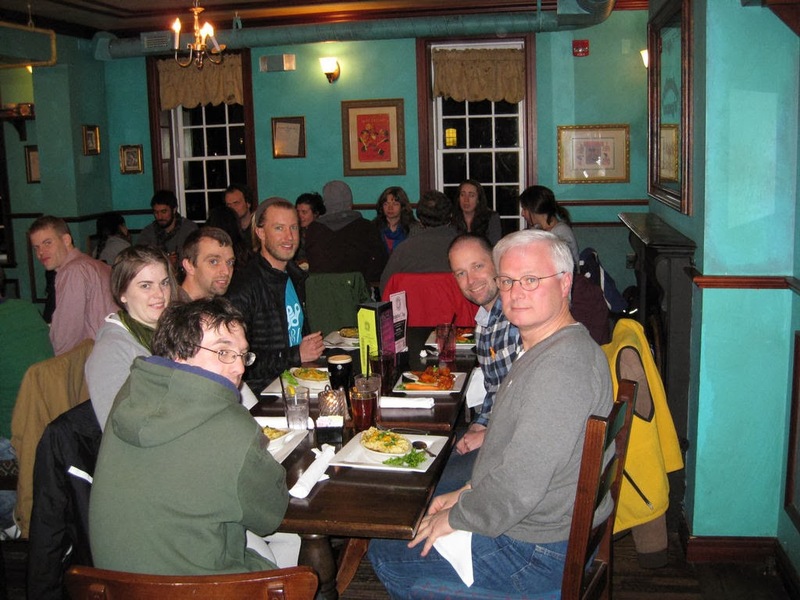 The celebration, which was well attended by the enthusiastic group of Board Members and Volunteers, was held at Catherine Rooney's Irish Pub, just a few doors down from NBP's Main Street shop. Guests filled the second floor party room, and were treated to pre-dinner drinks and appetizers, followed by a hearty dinner, choosing from delicious selections like traditional Shepherd's Pie and Irish Wings, and favorites like burgers. 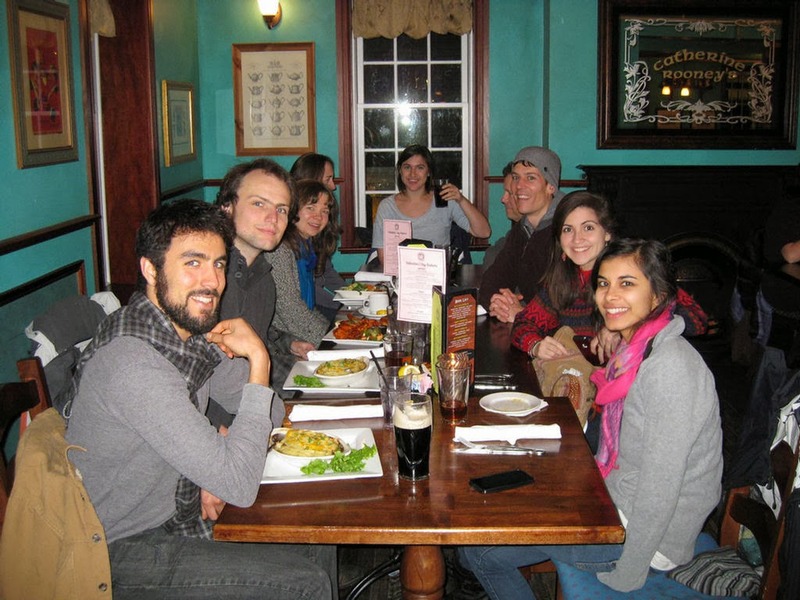 In spite of the cold lingering from the day's winter storm, the pub's atmosphere was warm as Volunteers reflected on the past year, telling favorite stories and sharing experiences about volunteering at NBP. Stories told ranged from poignant, to inspiring, to amusing. Without a doubt, the work that they do and the community that they serve enriches the lives of the volunteers. They know that they are truly making a difference in the community. And the needs of the community that they serve are never far from their thoughts. During dinner, Board member Sindhu Siva thanked Volunteers for their service, and told them of many upcoming events where Volunteers will be needed, including tabling activities to reach out to the community. If you have thought about volunteering, now is the time! They have many opportunities for everyone to get involved! It will also get you an invite to next year's most popular event in town, their next Volunteer Appreciation dinner! Visit their webpage and Facebook page, or come by any Open Shop night - they will be glad to see you! 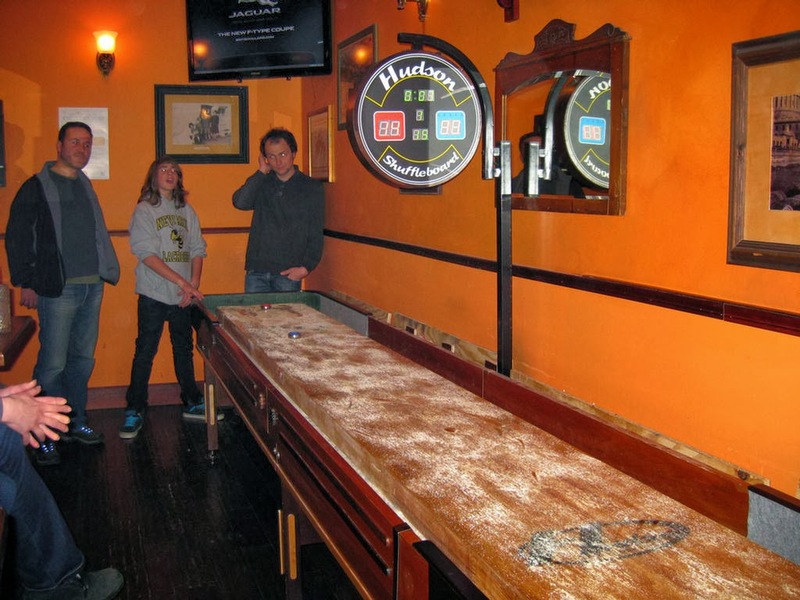 After dinner, guests moved downstairs to play shuffleboard and throw darts. It was a wonderful evening of fun and fellowship.